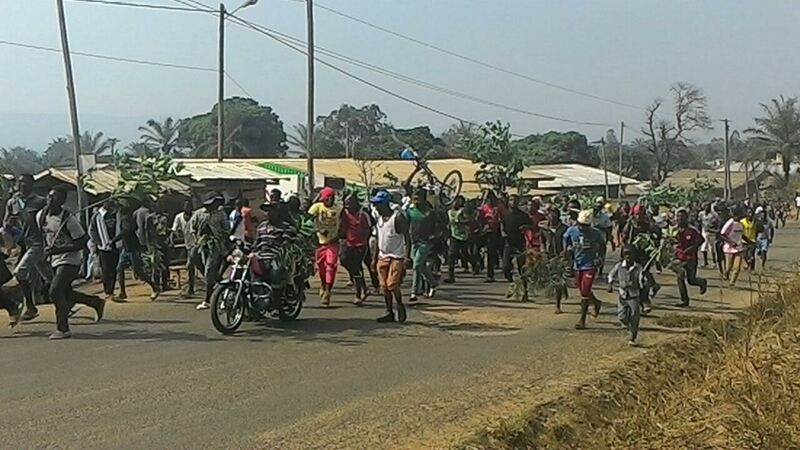 Buea – The condemnation has been fierce and widespread from spiritual leaders to parents and students who are almost unanimous in their rejection of the “understanding” between LRC and the breakaway Teacher Union groups that led to their call for a stop of the boycott of schools that for months now have crippled the government of La Republique Du Cameroun (LRC) and gave hope to the people of Southern Cameroons that at the very least, their classrooms and the future of their kids will not be compromised and destroyed in the same way that LRC has destroyed almost everything else in the Southern Cameroons. The shock and anger directed at these conformists is not just in their blind and naive belief that they can come to a compromise with such a regime, but to do so at a moment when it is involved with charging their colleagues in front of military tribunals and torturing them. That these individuals will sign a document and call for an end to a strike action when their colleagues and those who stood with them are being tortured and others buried is being received by the Southern Cameroons street as a sign of extreme betrayal. News is that the Catholic Bishops in the Southern Cameroons have come out in total opposition and as a slap to the face of these individuals, declared the School year over for Catholic Schools. Parents Teachers Associations are also reported to be coming out and asking parents not to send their kids to school and various localities and municipalities are holding their markets on Sunday in preparation for the continuation of the boycott and the strike action. The Consortium has also come out with a statement, disavowing this group of teachers while standing firm and encouraging the people that the strike must go on. This is a developing story that will be updated as events unfold.